After months of anticipation, the opening round of the 2014 Mtn. Dew ATV Motocross National Championship, sanctioned by AMA (ATVMX), season took place at Aonia Pass Motocross Park in Washington, Ga., on Saturday. 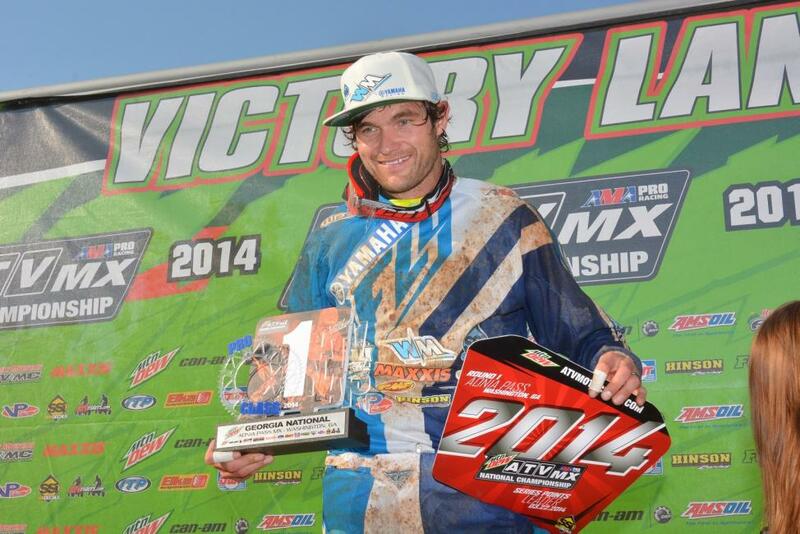 After a pair of AMA Pro ATV motos, reigning back-to-back champion Chad Wienen rode his Wienen Motorsports/SSi Decals/Walsh Yamaha to the overall victory after 1-2 moto results. Wienen's closest championship rivals didn't make it easy on him, proving that 2014 will be a tough season as he aims for a third consecutive national title. 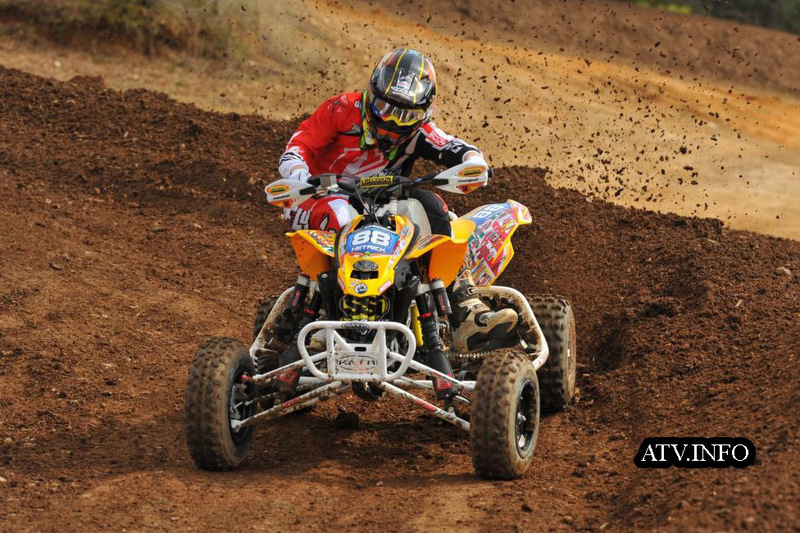 Wienen began the afternoon at Aonia Pass by grabbing the ATVRiders.com Top Qualifier Award. At the start of the opening moto, Motosport.com/RRR/Ford/DWT/Walsh/Fox Honda's John Natalie grabbed the SSi Decals Holeshot but was quickly overtaken by Joel Hetrick. The JB Racing/DWT/Mtn. 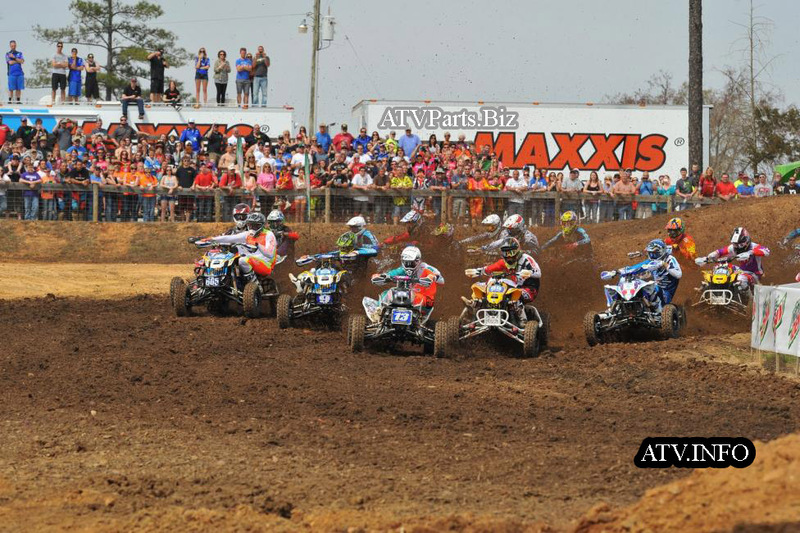 Dew Live Wire Can-Am rider ran out front for a majority of the moto before being overtaken by Wienen on Lap 9. The reigning champ held on to the Moto 1 victory, followed by Hetrick and BCS Performance Can-Am rider Josh Creamer. Natalie claimed back-to-back SSi Decal Holeshots to start Moto 2 and didn't let anyone get by the second time around. With the gap between first and fifth in Moto 2 coming in at just 2.6 seconds, it was anyone's race, but Natalie held off pressure from Wienen the entire moto to take the win. Wienen finished second to secure the overall victory, while Hetrick followed in third. Wienen was joined on the overall podium by Natalie in second (4-1) and Hetrick in third (2-3). "It's always good to start the season off strong. That's how it all starts," said Wienen. "I keep telling myself that we are going to run that red plate the whole season, but it's definitely not easy. I've battled with John [Natalie] and Joel [Hetrick] before and I had to really calm myself and find some good lines. I was able to make clean passes the first moto, and the second moto I had another good start, but took on a ton of roost and wasn't able to find my way around that moto. I was really happy to be able to come out and get the overall and points lead. It's motivating going into the second race in two weeks." "We were able to pull the holeshot both motos," said Natalie. "I could definitely hear the bikes revving and running behind me that second moto. I was riding defensive so I wasn't able to pull away like I wanted to, but was able to get the win. I knew there were four or five guys behind me so it slowed me down to try and ride defensive, making sure no one stuck a wheel in on me. And it worked out good to the finish." 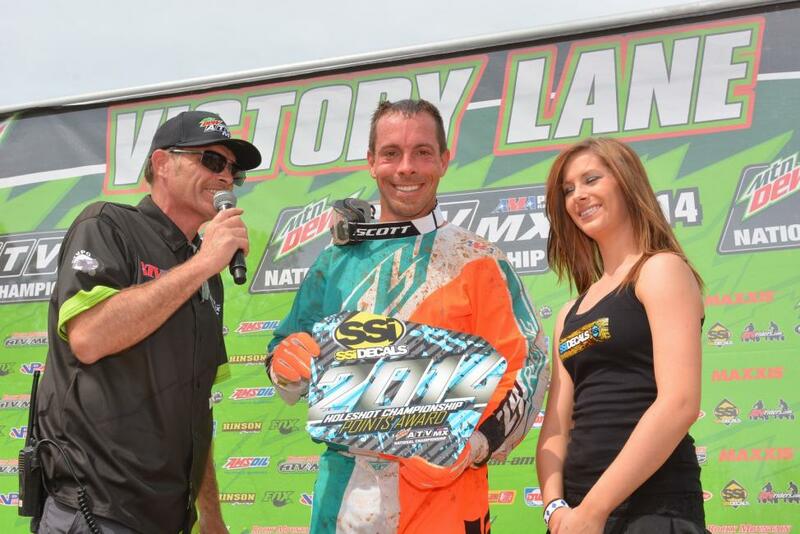 Creamer narrowly missed the overall podium on his Can-Am after finishing fourth in the final moto. His moto scores of 3-4 landed him fourth overall, while Wienen's teammate Thomas Brown rounded out the top five overall with 5-5 moto finishes. The second round of the Mtn. 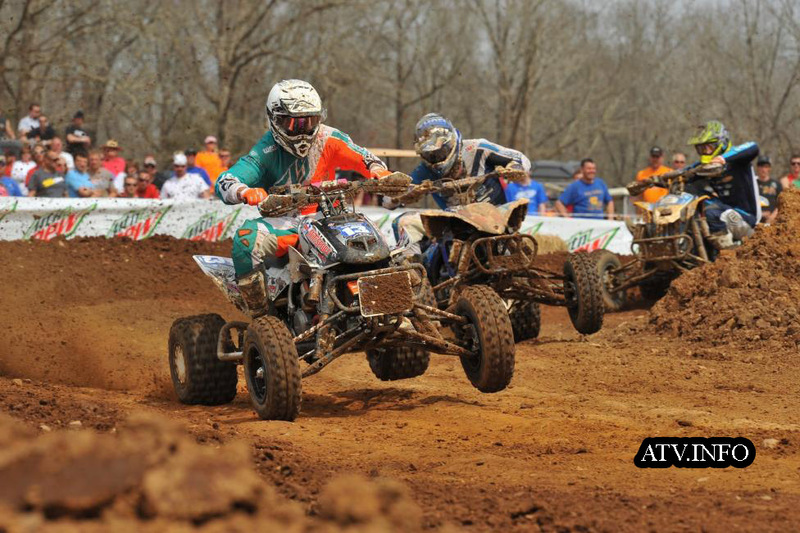 Dew ATV Motocross National Championship will take place in two weeks on Saturday, April 5, from Muddy Creek Raceway in Blountville, Tenn.